Standing within the second compartment from the western end facing East. The slots in the concrete walls in the left and right foreground denote the position of two of the missing uprights. Another would have been just out of shot immediately to the left of where the photograph was taken, and the final one would have stood on the far side of the larger heap of stacked stones to the right. 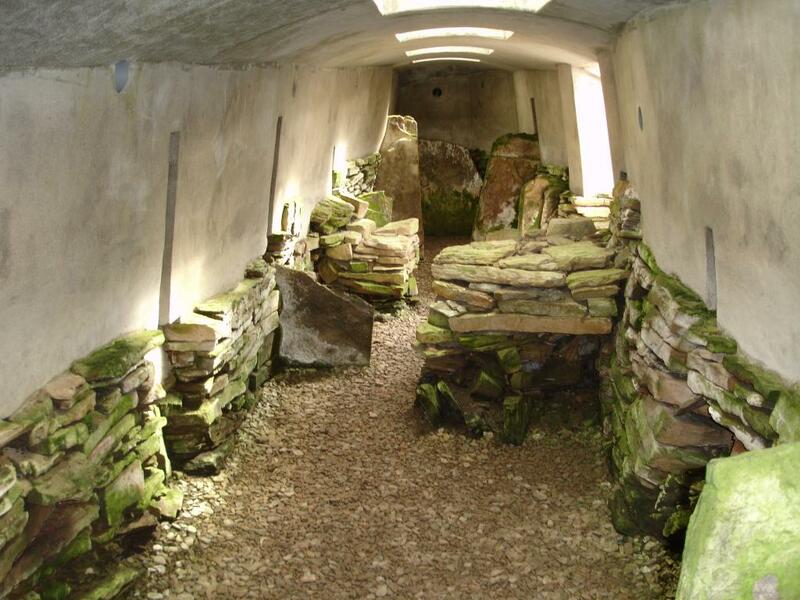 This later addition to the cairn previously stretched across the full width of the chamber blocking access to the three compartments in this western half. 1024x768.